Gino’s experience differs a lot from that of Edward, not only because of the generational gap but because of the way the former decided to approach his debt dilemma. The fact that he has not had time to save enough money to be considered “financially stable” is a great factor in his decision to pay his debts with another loan. Now normally, people are advised against this because as you might already guess, it does pose a risk of entering into a debt cycle from where it could then be very hard to exit. It takes discipline, focus and great will power to not fall into a credit trap. Most importantly, Gino did not only take another loan to pay his initial debt- he also made it a point to earn additional money from various sources of income. But I don’t want to get ahead of myself. Dear reader, learn and enjoy! Karessa asked me why I volunteered to be a guest blogger in Colorfulifesite Blog. The truth is I’m really eager to inform people about how I somehow recovered (slowly) and survived from my personal financial crisis. I would also like to share my experience, in case it could give them options on how to solve their debts. Several years ago, my friends and I set up a corporation. It was the first business venture of my life. Needless to say, I was new to the corporate world and had not even the fundamental knowledge of things. I just took the opportunity. It was a “strike while the iron is hot” kind of thing. I was excited and impulsive at the same time that I didn’t even bother to educate myself, believing that I could learn along the way. Likewise, I joined the business world without any “financial muscle” because supposedly my contribution would be my skills. (Actually, the majority of the founders didn’t have money to invest. All we had were our Information Technology or IT skills.) This was why we needed an investor to sustain the various costs of this venture: marketing expenses, logistics, employees, and so forth. One of the founding members met a potential financier who we all thought was an angel investor. After me and my friends agreed on his participation, he gave us a big amount of money as seed funds. We divided the financial responsibility and assigned each one an amount to be paid to the angel investor when the time came. All along, we believed that we would pay him back upon the success of the company’s project. After the papers were signed, the corporation became a legitimate one. What we thought was an angel investment was actually not. It turns out we signed a document stating that he was loaning money to the corporation, not investing! Furthermore, the terms stated that the loan should be paid within a year. To top this all off, I have acquired credit card bills as well as other personal debts to settle. Thankfully, the debt to the “investor” was cleared by the person who invited him to the corporation. Still, I found myself looking at an important financial dent. I had to start getting rid of the accumulated debt I still have. So what I did was that I sold everything I could and pawned some of my belongings. That gave me some “starting money” to do something about my debts. Likewise, I returned to my parents’ house to save on rent and started recycling some things, like my old computer. Most importantly, I got help from my family in getting a loan to pay the loan sharks. My mom helped me get loan from cooperatives (Credit Unions) that give a lesser interest rate and a longer period payment plan. Loan sharks’ conditions of payment were tougher than a bank’s, so it was of my great interest to get them off my case as soon as possible. That’s the bad thing about getting a loan that doesn’t require any type of verification such as tax declaration, employment record, etc… Anyway I paid a big part of my debt through those cooperatives. A credit union is a member-owned financial co-operative. These institutions are created and operated by their members and profits are shared amongst the owners. … (They) represent an alternative to banks and possible solutions to common complaints about traditional banking institutions… (It is) a savings and loan entity formed by a group of people who share some common characteristics, such as a profession or geographic location. The members of the group pool their money to provide loans and demand deposit accounts to other members. Credit unions are not-for-profit entities that are owned and founded by their members; they function as democracies, with each member having a say in how the credit union is run. As a matter of fact, we borrowed from 3 credit unions. On 2 of them, my mom was the account holder while the other one is under my younger brother’s name. I did this because they were the only ones who were qualified to apply for a loan. As I mentioned before, I got some money came from pawning and selling my belongings. Some proceeds from the sold stuff were used to get along with my everyday life. I’m not even talking about spending for leisure; I meant something more commonplace like buying food and paying for fare. This money also allowed me to pay some of my other personal, smaller debts. Then my father said he will pay some of my debt from one of my mom’s cooperative account and I can pay him whenever I could, without interest. I was relieved! After that, I got a chance to enroll in an MBA course to educate myself on how to properly run a business. While I was in school I kept on accepting online work and working for local clients mostly to pay my school tuition, my dad, my mom and my brother. To this day I’m still not 100% clear of my debt but it’s more manageable compared to what had happened to me few years back. Colorfulifesite’s Note: Gino has long since learned his lesson regarding the need to be financially literate and equipped before entering a business venture. He is currently a Managing Partner at a couple of startups focused on helping small enterprises get the best adapted business solutions. The sub-series presented in this third part of the “Adulting and Money Management” series aim to share real-life experiences of 2 guest bloggers. One of them is a retired international ballet dancer from Canada, and the other one is a managing partner at a couple of startups in the Philippines. I thought it would be worthwhile to expose two very different types of people from two very different contexts, bound by a single objective to effectively manage debt. The final part of this sub-series will contain Colorfulifesite’s own perspective on the topic. The first of the guest bloggers is a Ballet Master who have had his share of rags-to-riches-to-rags story. In between those events, he has experienced fame, prosperity, bankruptcy, hunger and resurgence. His account on debt management is but a tiny piece of precious advice within the beautiful mural that is his life. I am greatly humbled by being asked to contribute to Colorfulifesite Blog. I in no way can replace Karessa, but I can offer my insights on how we fall into debt, how to manage debt and how to make the positive changes to stay out of debt. How do we fall into debt? If you are in debt, you have bought things you did not have money to pay for at that time. I do not know anyone who has never experienced debt in one way or another. It might be a personal debt to a friend, a car loan from the bank or a credit card debt. If you are in debt or sever debt, some perceptions and habits must change. Not having money for what you need is a serious problem. However, not having money for what you want should not be viewed equally to what sustains your life. In short, you will not develop malnutrition or be put out on the street if you do not buy those new shoes. They in no way sustain your life. You will however, develop malnutrition if you have no money for groceries and could be put out of your home if the rent is not paid. Recognition of this brings about a change in perception. We begin to see food and shelter as necessary and the latest smartphone as nonessential. Remember that money in the bank or any other investment vehicle pays periodical interest, making your money grow. But if you have a debt on credit card or on a department store, YOU are the one making the periodical pay offs and making your money shrink. A recent MasterCard bill contained the information that if I made the minimum payment each month, my debt would be cleared in June 2060. For most people, this idea might seem interesting. Yet for me, this is a sobering thought considering I will be long gone from this world by that time. Suffice to say I did not take the 43 years to pay the debt. I paid it in 5 minutes at the bank. If I took 43 years to pay the $1000.00 debt, I would have paid over $3,000 in interest charges. Conclusion: it is very expensive to be in debt. One thing that worked wonderfully for me is debt consolidation. If you have multiple debts to different companies, it is best to consolidate them at a better rate of interest. Ask a financial adviser how you could do this as it allows you to have only one single creditor to pay for all of your different debts. With a line of credit, you could pay debts that have a monthly interest charge of 23%, and the reduced interest rate to 3%. The larger your debt is, the more practical this becomes. 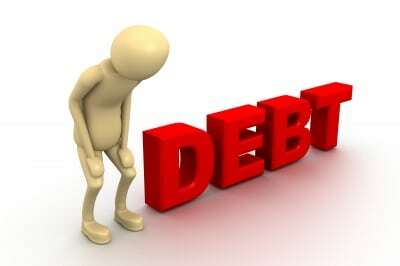 … multiple debts are combined into a single, larger piece of debt, usually with more favorable pay-off terms: a lower interest rate, lower monthly payment or both. 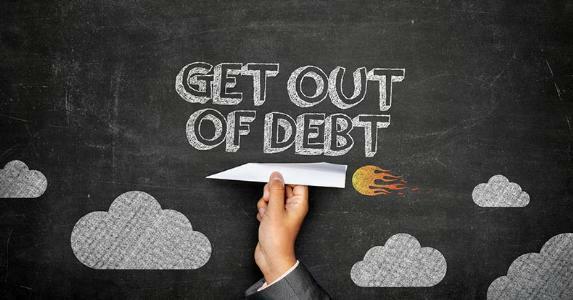 Consumers can use debt consolidation as a tool to deal with student loan debt, credit card debt and other types of debt. … any use of one form of financing to pay off other debts is practicing debt consolidation. However, there are specific instruments called debt consolidation loans, offered by creditors as part of a plan to borrowers who have difficulty managing the number or size of their outstanding debts. Creditors are willing to do this for several reasons – one of them being that it maximizes the likelihood of collecting from a debtor. These loans are usually offered by financial institutions, such as banks and credit unions; there are also specialized debt-consolidation service companies. My best advice for getting out of debt is to delay satisfaction or gratification. This means that if you delay the satisfaction you get from buying a new product, it is appreciated all the more because you have saved the money for it. The new product comes with no guilt, no debt and no interest charges. Another very practical way to manage debt is to make debt payment a part of your budget. Treat your debt payment the same as your rent, your phone bill or your electric bill. This would allow you to look at your debt realistically and honestly evaluate your capacity to pay: could you do it in 6 months, in one year or maybe in 5 years? What positive changes could you make to stay out of debt? Getting out of debt could be likened to dieting: neither of the two is easy for many. In the case of dieting, people must do without eating what they crave in order to attain their desired weight. When paying off a debt, we must also learn to do without the unnecessary things if we want to achieve our goal. In my case, I had to quit smoking. This nearly “killed” me as I had to learn to live without the single thing I craved the most. I had to do this in order to greatly reduce my expenses and pay my debts off a bit easier (and of course, to reach the state of health I felt was rightfully mine). Likewise, you would also need to give up your whims in order to achieve your goal of financial stability which you correctly feel is rightfully yours. I can confidently share that in time we develop a pride in paying our bills in full each month, in saving for what we want and living without the burden of guilt, stress and the interest charges that accompany debt. Experience has taught me how there are endless ways of saving money so you may buy what you want. For instance, I still cut all the store coupons and have not bought anything that is not on a special sale (I started doing this during the time I was living in hunger). I still plan my weekly menu by looking at the flyers of the store specials. I get to save more than 60% on my groceries, pharmacy and paper products. I love the smell of Speed Stick Original. One costs $4.00. When they come down to two for $5.00, I buy 6. Total savings = $9.00. These are nine dollars I may apply to my phone bill, my rent or add to my bank account. Instead, I use this $9.00 to buy paper products on special sale. (I shall not reach a time in this life when I no longer need toilet paper, paper towels or Kleenex.) With my $9.00 saving, I bought 72 rolls of toilet paper and have not bought any for two years now. When possible, I buy in bulk. Trust me when I say: focus on the debt like a laser beam. Most importantly, get excited about reducing it, take pride in watching the debt go down and celebrate your success and financial responsibility. As I mentioned at the start, I can never replace my friend Karessa. My thoughts do not appear in a logical order and I tend to ramble without a strong focus. However, I welcome your thoughts and questions (click here to access Edward’s Facebook page). I may be contacted by private message if you have questions about your debt that you do not feel comfortable discussing in a public form. Colorfulifesite’s note: Edward Hillyer used to tour around the world as a professional ballet dancer and instructor. He carries the title of Ballet Master. A former Principal Dancer of Les Grands Ballets Canadiens, he is currently living a quiet but active life in Montreal. Take my word for it, Edward means it when he offers to attend to any questions you might have. Thank you very much, Edward, for taking the time to share your insight and useful advice on debt management.